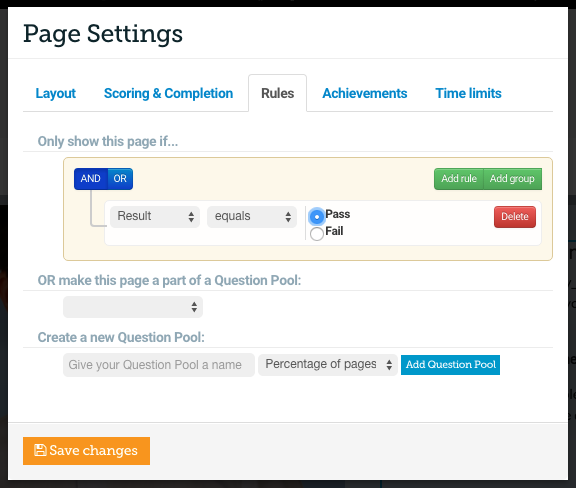 ‘Rules’ allows your user to explore projects and receive immediate feedback. 💡 Pro Tip! 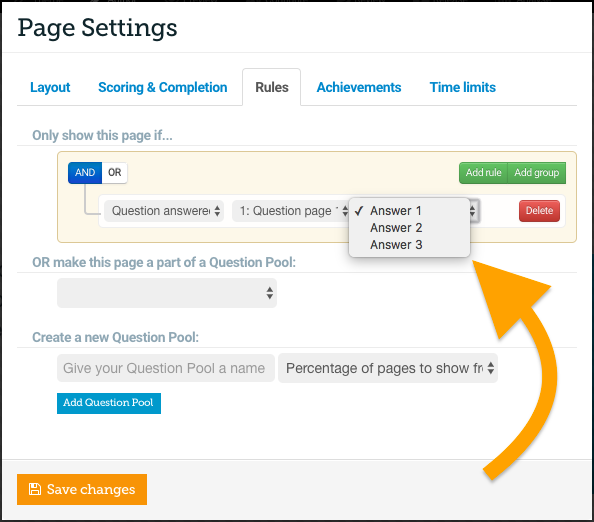 Before you start using ‘Rules’, we recommend that you turn off the ‘Allow users to see pages AFTER the next completed page?’ option to allow the most flexibility. 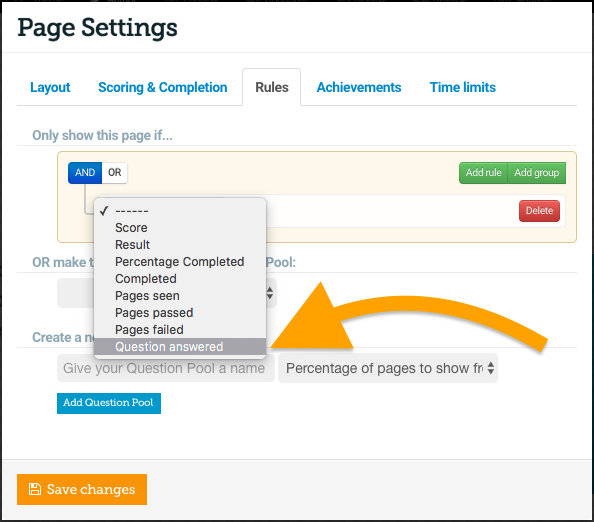 If you apply rules to a page, that page will not contribute to the scoring and completion until the requirement for the rule has been. Open any page in Elucidat. Press the ‘Page settings’ tab. In the pop-up window press the ‘Rules’ tab. In this example I will choose ‘Score’. 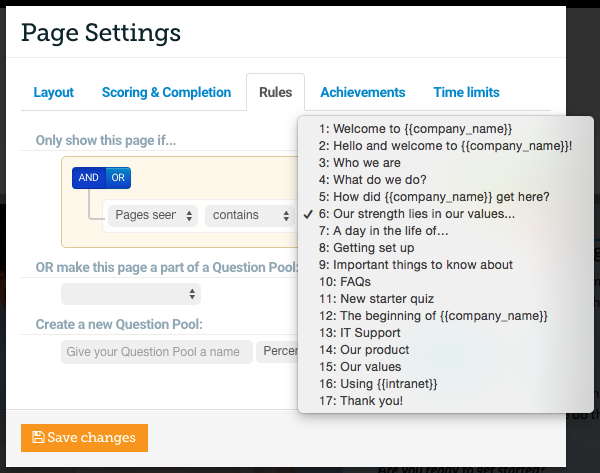 A new set of values will appear (This will vary depending on which Rule you choose). In this case I will choose ‘Greater than’ and set the score slider to 50%. 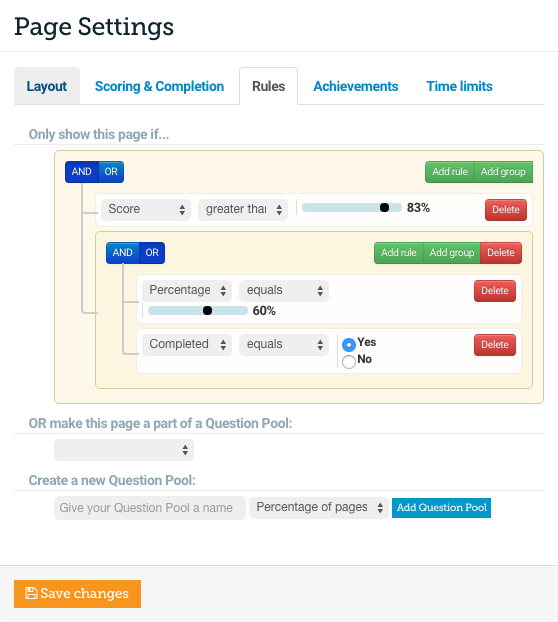 With this rule set up, my Learner will only be able to view this page if they have scored 50% up to this point in the project. You can combine as many rules as you like by pressing ‘Add rule’. This would be useful if you wanted to create a page that was only viewable if your Learner had attained a ‘Score’ over 50% ‘AND’ had seen 50% of the course (set using the ‘Percentage completed’ dropdown). If you wanted to create a page that was only viewable if your Learner had attained a ‘Score’ over 50% ‘OR’ if they had seen 50% of the course, you should press the blue ‘OR’ button. 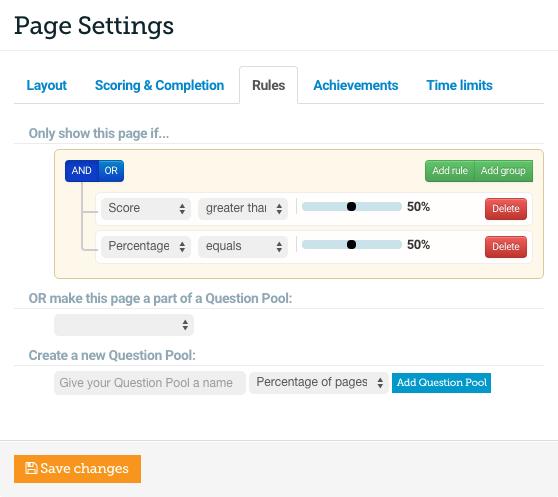 Adding rule groups allows you to organise your rules and use both ‘AND’ and ‘OR’ statements simultaneously. 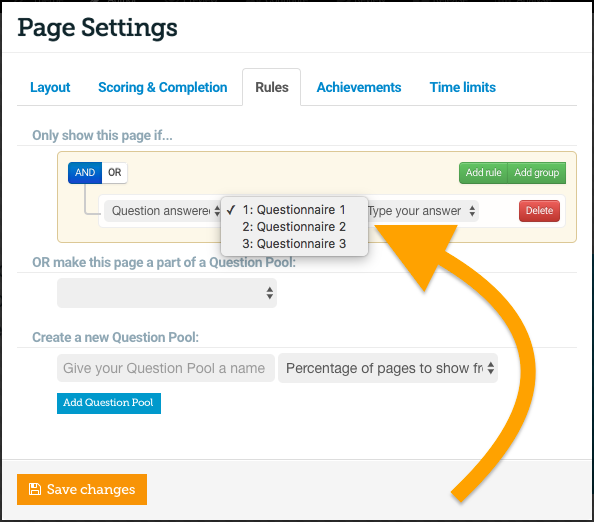 Please note that if you add a Rule to a page which is the first page of a chapter, the Rule will be applied to the entire chapter. There are many useful ways to use ‘Rules’ here are a couple of examples of uses for ‘Rules’.